2.) Back length: Measure length of pet’s back from the base of neck to the base of the tail. 3.) 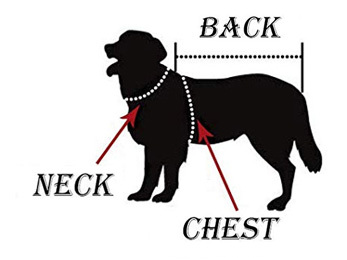 Neck: Measure the circumference of pet's neck for a snug fit as you would with a collar.